Are you looking for smoking alternatives that produce higher temperatures? Are you looking to use a flavored smoke alternative to traditional briquette? Then smoking with lump charcoal or charwood is probably your best option. I used to use briquettes as my go to choice for smoking, grilling or for barbecues, but since really getting interested in the charcoal vs briquettes debate, and finding a great place to buy lump charcoal locally, I am a convert. 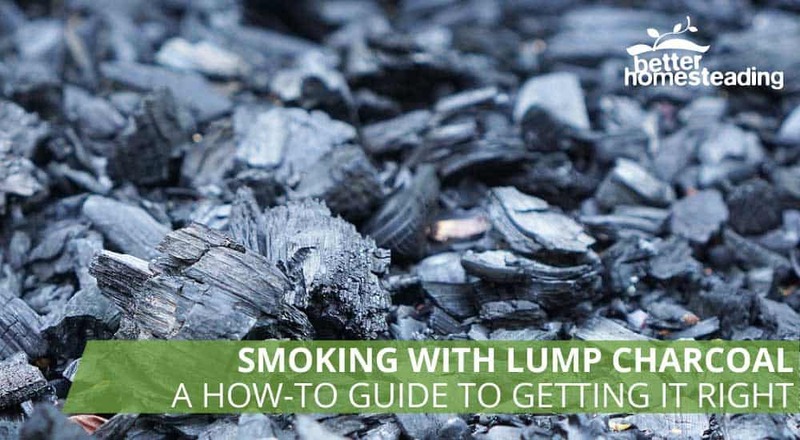 This article will provide all the information you need to get started, plus I've picked some of the best lumpwood charcoal products on the market, which I'll provide a quick review on. Lump Charcoal Or Briquettes - Which Is Better? How to Light Lump Charcoal. Lump charcoal is a carbon rich end product of burning wood (mostly hardwood) in an oxygen deprived environment. Usually done in large concrete silos when done commercially, or in kilns in small scale industries, the process takes days to complete. In the process, elements such as water, hydrogen, methane and other compounds are drawn from the hardwood. The wood however is not allowed to get to the ash stage. Eventually, what is left behind are black lumps that are about a quarter of the wood’s initial weight. When lit, the carbon in lump charcoal combines with air (oxygen) to form emissions such as carbon monoxide and water vapor. As it does so releases large volumes of energy than wood. It also burns hotter and more steadily than wood while producing far less smoke and hazardous fumes. Some do state some additives on the packaging. The only additives you should be interested in are anthracite or sugar based additives used in binding. Traditionally, nothing says grilling and barbecue than briquette. Of late though, there have been a number of great alternatives in the market in the way of pellet smokers, gas grills and so on.Yet, more and more pitmasters seem to be turning to lump charcoal for smoking. Other than price, there a few factors that separate the two. Briquette (which it the direct competitor for lump charcoal’s market) from large manufacturers such as Kingsford are made of powdered coal or charcoal held together using additives such as cornstarch, borax and limestone. Additionally, fillers are also added into the mix to enhance performance properties. The result is a more standard sized piece and form. Briquette’s regularized size and compounded elements, allows it to burn more steadily than hardwood charcoal. Nonetheless, it burns at a much lower temperature. 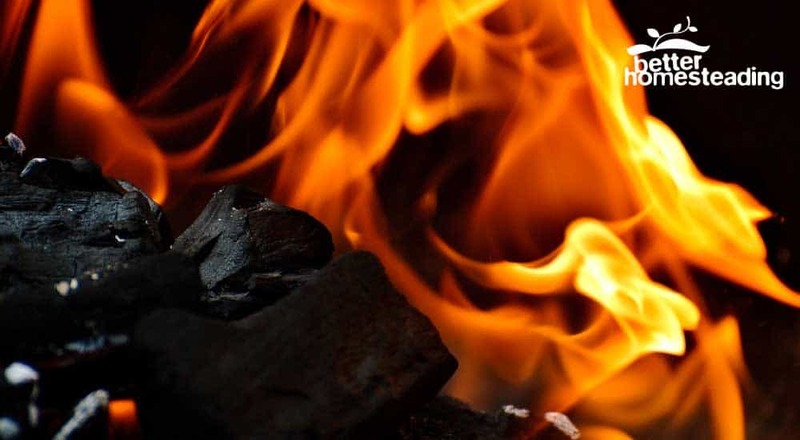 At best, a briquette fire can go up to a maximum of about 1000 degrees F. Lump charcoal can go to temperatures as high as 1400 degrees F. Due to their irregular sizes, some lump pieces end up being too small to use in a grill. In a smoker though, you can pile up all sizes since the aim is slow cooking. This wastage is not experienced when using briquette. 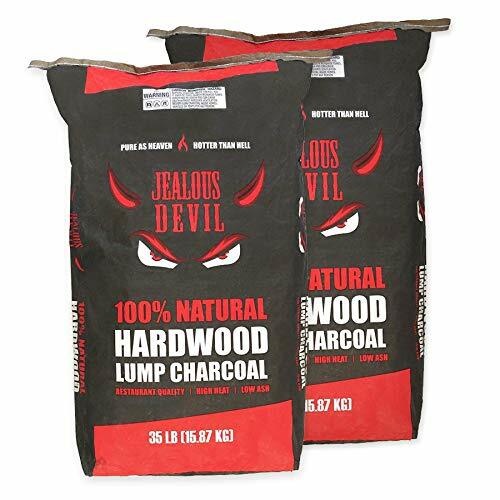 Health-wise, purist prefer lump charcoal to briquette as it contains no additives. It is yet to be proven however that the additives in briquettes adversely affect our health more than hardwood charcoal. If ash concerns you, then charcoal might be more to your liking. This is because briquettes produce more ash. The best benefit of using lump charcoal however lies in the smoke produced. Traces of smoke work themselves into the meat, impacting taste. The same can not be said of briquette. Picking one of the two options would be better for smoking has been an age old debate that has been known to start a fight or two. The jury is still out on this one so we’ll let you decide. Begin by piling up your lump charcoal. Squeeze some lighter fluid onto the pile. The ratio is usually 1.6 ounces per charcoal pound. 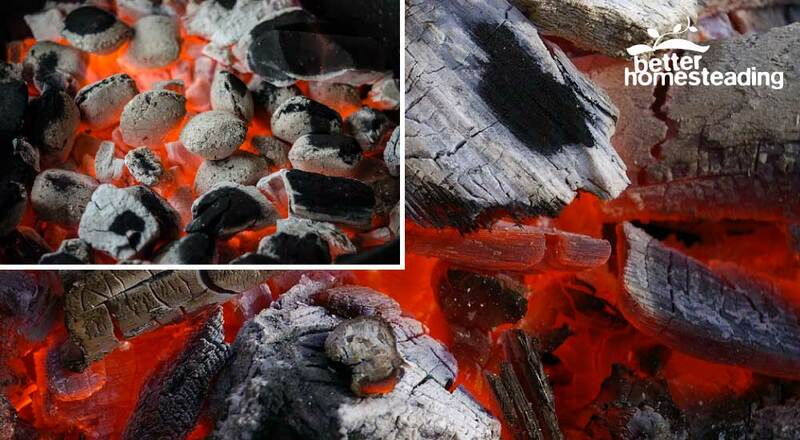 In about 15 minutes or less, your charcoal will begin develop ash over charcoal pieces. Spread the charcoal evenly on your smoker to ensure temperatures are not too high. This effectively stops your briskets or pork chops from charring before cooking all the way through. Place few hardwood lump charcoal pieces atop your grate. Light the paper and allow your charcoal time to light up. Once lit, add more charcoal and begin cooking. Here's a quick video with some details on getting started. Sold in a heavy duty kraft paper bag, chances of spilling your charcoal onto the floor are minimal. Though there will be little smoke seen as compared to wood chunks or pellets, the smoke flavor still comes through. The charcoal is able to impact a mild smoke flavor to meat that was not as overwhelming. With little ash being produced, clean is a breeze. 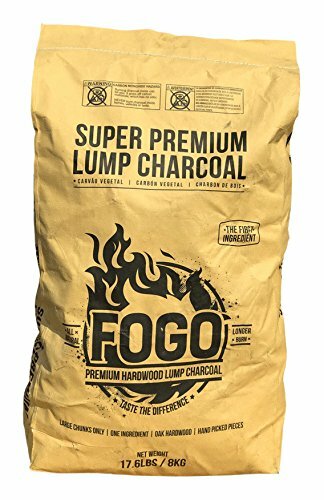 Common in many meat smoking kitchens, the Fogo (Portuguese word for fire) brand of charcoal is well liked for its great tasting hardwood flavored smoke. Made from natural, hand selected hardwood chunks, the top quality charcoal lights up pretty fast. This is especially so when coupled with lighter cubes in a chimney starter before transferring the lumps to your smoker. It has also been reported to last longer than other many brands, meaning you use less per smoking session. 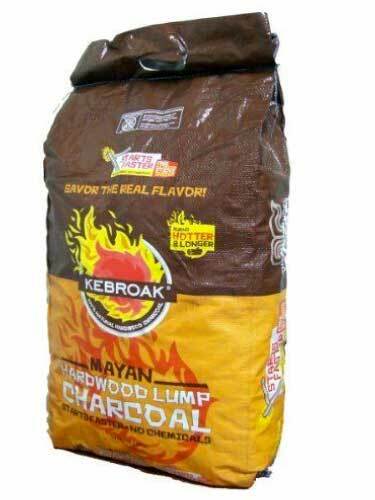 Yet another great natural charcoal brand, Kebroak’s lumps are made using untreated, virgin oak. As any pitmaster will tell you, oak has long been used in smoking for its flavored smoke. Smoked meats and vegetables not only smell great, but tastes great too. 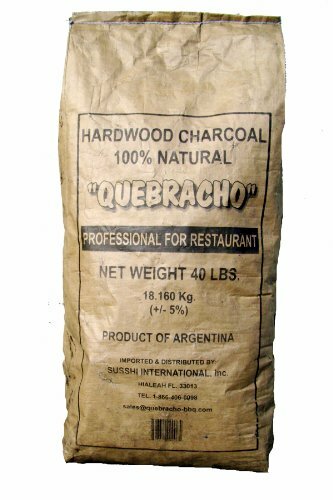 Made from Argentinian Quebracho hardwood, each bag has a good mix of charcoal sizes. Quebracho’s charcoal light up easy and longer. The long burn is probably due to the nature of the tree - Quebracho actually means axe breaker. The small pieces are best to get your fire going. Huge chunks then ensure you have a longer smoking time. Like other in the list, the smoke adds great flavor to your meals. The popular brand can be found in kitchens round the country. It is made from renewable sources of oak, hickory, walnut and maple. Its is well liked for not having any additives or chemicals, ensuring a healthier smoking session. This can not be emphasized enough. Though briquette and lump charcoal can be mixed up to get the best of both, never use fuel infused briquettes in your smoker. Even when more cooking time is required, always go for regular charcoal. 1. Due to its high temperature, lump coal is perfect for a greatly seared exterior and a lush pink interior center when grilling. However, when smoking meat and you want something cooked through, wait until the fire dies down a bit. A smoker thermometer like this one on Amazon, would be an essential part of your arsenal at this point. 2. When cooking, tighten up the charcoal pile to increases cooking temperatures, or spread it to reduce temperatures. Also, close off open air vents to regulate temperatures when too hot. 1. Do not purchase artificially flavored charcoal. If the flavor is not naturally found in the original tree, it is best steering clear away from it. Charcoal can be quite absorbent. As such infused artificial flavors end up overpowering your meal to almost inedible proportions. 2. 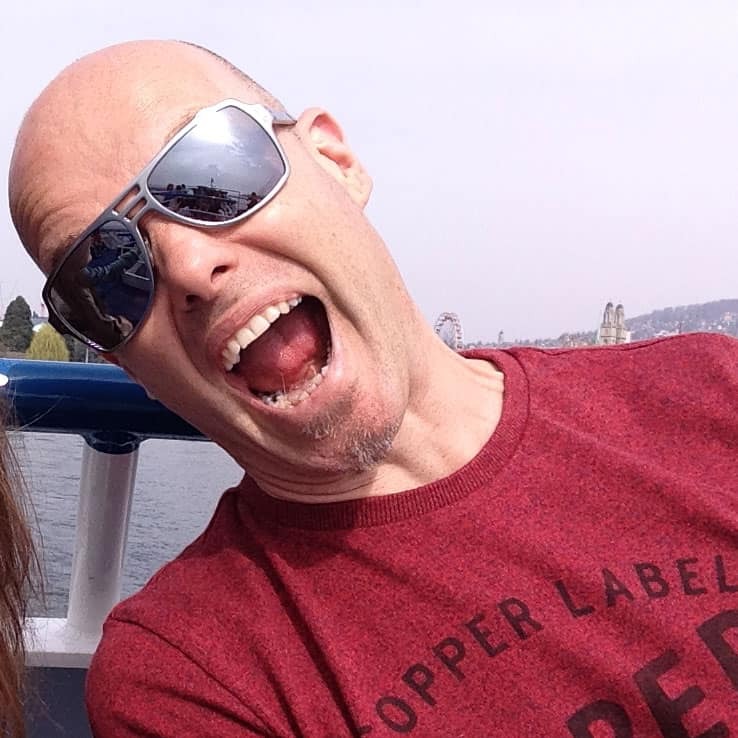 Though terms like self-lighting and self-starting may sound appealing, avoid the stuff. By a infusing petroleum based products, the lump charcoal may light up faster, but negatively impact your meal's taste. Though cooking with lump charcoal can at times demand an experienced hand, it’s nothing you can not learn in a few smoking sessions. All you require is a keen eye to avoid charring your meat or vegetables. With proper temperature management, lump charcoal smoking can prove to be no more challenging than using wood pellets or chunks. Additionally, consider mixing wood chunks with your charwood for an even tastier smoked meal. Some pitmasters go as far as recommending mixing lump charcoal, brisquette (with as few additives as possible) and wood chunks, to not only get a perfectly smoked meal, but to do so at an affordable price point. Addition of brisquette helps cut down on cooking costs and to stabilize the fire. With so many benefits to smoking with hardwood lump charcoal, it is little wonder then, why it is gaining such popularity. 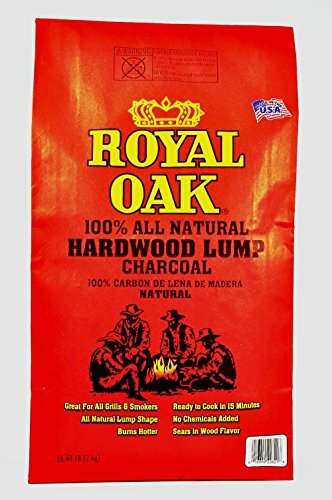 Lump charcoal is a fantastic fuel for smoking, grilling or barbecuing. It's natural, often produced using traditional methods, and should be sustainable produced by companies that manage the forests they harvest from. I really hope this article has given you some 'food for thought' and provides some excellent information. As always, leave any tips and comments in the comments section of this article.